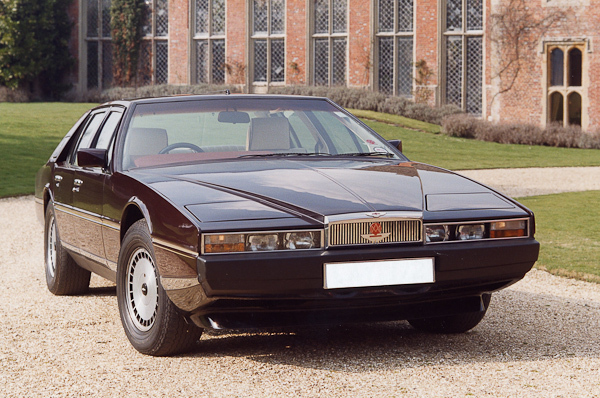 I live in Birmingham and have twice seen a very rare V8 Lagonda; once near Redditch and once parked by the side of the road in Birmingham. It is light blue metallic, with four doors. I seem to remember reading somewhere that only 13 or 14 of these were made. Does anyone know of this car? Hi Rapidelover, does it look like the top or bottom car below? The V8 lagonda seen near Birmingham is chassis No 001, and owned by a club member. This is one of only 8 cars and is of course a very special car. Most importantly, it seems to be the only one in anything like original spec, conditiion. By that I mean it has not had the engine enlarged, new interior put in, or the other body effects seen on the later V8 AM cars. Note the more common wedge of which there were ca. 645 examples made, is not in the same class. This post has been edited 4 times. Last edit on May 14, 2012 10:54 am by SRD. Hi, thanks for the replies. It is like the car below in the picture. Beautiful car and the owner is very fortunate indeed to own such a lovely vehicle. SRD. I might take issue with that statement. For those who might want to take a walk on the dark side have a look at my Website & Forum which are non-commercial. This post has been edited 2 times. Last edit on May 23, 2016 12:28 pm by Lagondanet. Can anyone help? Lagonda Radiator.